Whether you are thinking of purchasing a new house, renting a flat, or leasing premises for your company, our breadth of expertise and experience in surveying has helped us build a reputation as consultants on all property related issues. As registered surveyors, we can offer advice on the level of detail your survey may require. Here, at MEM Property Services, we undertake commercial and domestic surveys to a wide range of properties, providing advice to potential purchasers through the preparation of a schedule of potential liabilities and remedial solutions and repairs by our RICS regulated surveyor. 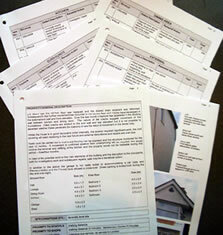 Important business decisions related to buildings are dependant on the assessment of condition, structure and services. Following a survey of the premises, we offer advise on leases to prospective purchasers, lessees or landlords. Our fees are structured to reflect the age, size, and complexity of the survey required to ensure that we can offer you our most competitive quote.